It is easy to see why bowling remains a popular sport today despite tracing a history dating back 4,000 years to Greece and Rome. People of all ages can partake, regardless of abilities, weather, and seasons. 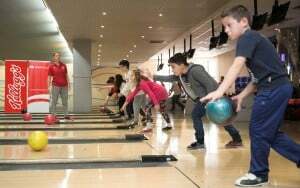 In Malta, its most popular variation, ten-pin bowling, is available to over 11 year olds by the #OnTheMove – Winter programme, which is organised by SportMalta and sponsored by Kellogg’s. Ten-pin bowling training sessions are held every Saturday morning at the Eden Super Bowl in St Julians, under the direction of Liliana Spiteri, Head Coach for #OnTheMove – Winter programme. 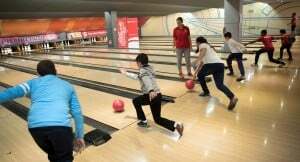 “At first glance bowling may not seem to be an active sport, but young participants need to develop strength in the muscles and a good level of fitness for this type of sport. Performing a workout routine makes the young bowlers stronger, and they will have more control of the ball,” said Ms Spiteri. Each #OnTheMove session, seeks to strengthen the core techniques of the participants under the guidance of their trainers. Techniques include the progression of a number of steps giving the participants the correct posture, body balance and full target concentration, before rolling the ball along the lane. Team games are regularly held during which the participants’ progress is monitored and recorded by the coach. 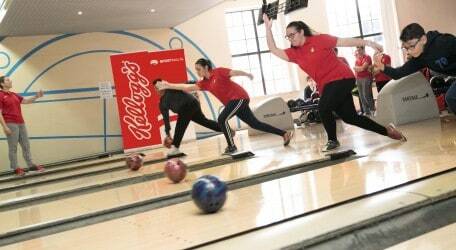 Potential players are often encouraged to join the Malta Ten-pin Bowling Association (MTBA) at the national level. Overall, sport is essential in life and it provides mental relief, physical fitness and discipline among the young athletes. This is one of the prime objectives for which #OnTheMove – Winter programme is sponsored by Kellogg’s. The world’s leading producer of breakfast cereals has been sponsoring the programme for the past 17 years as a way of promoting healthy well-being through good nutrition and physical exercise. For further information about ten-pin Bowling, or the #OnTheMove – Winter programme, one can contact the Programmes Section at the SportMalta Head Office on tel. 2203 6000 or via e-mail: [email protected] or visit the SportMalta website: www.sportmalta.org.mt.